Family vacations and trips are lots of fun. 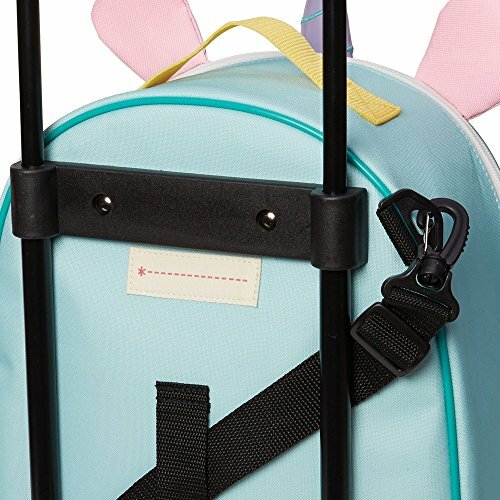 Get your kids excited about their upcoming travels or trips to grandma’s house with our guide to the best kids luggage and travel bags for little ones to teens. 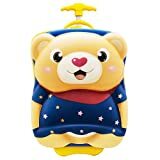 These days there is a wide variety of cute kids luggage to choose from but it also makes sense to think about practical bags for your travel needs and stay at home excursions. 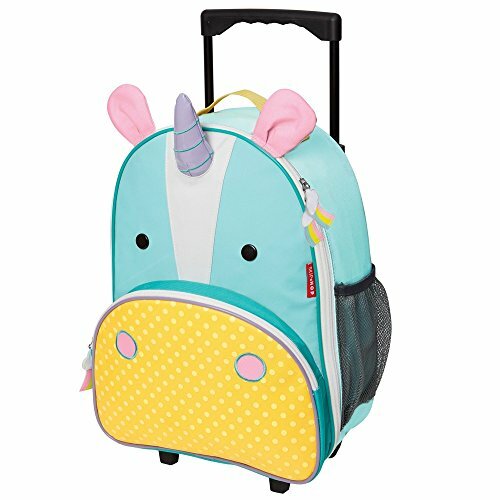 Of course, what works for your littlest won’t appeal to your tweens and teens, so we found the best suitcases for kids by age group. 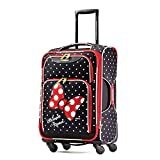 Click here for our top rated luggage for kids or browse the content to read our luggage buying guide, reviews and ratings. 3.3 Who is going to carry it? These days more and more families are traveling with their kids. From long road trips, to sleepovers with grandma and adventures abroad, children are increasingly on the road. So where do you put all their stuff? Sure you could keep all the family belongings together in a large suitcase but I think the kids deserve their own cute travel bag. Going on a big trip or spending some time away from home is exciting and nerve wracking for most people, let alone the smallest members of your family. Packing their own bag helps kids build a sense of excitement about their upcoming trip. You can talk about the activities you will be doing and what clothes they will need. If you are going on a trip that has a lot of wait or transit time, talk about what toys or gadgets they can bring that will keep them busy for a few hours. Teens especially want to feel involved (even though they may not show it). Having a special travel bag means they can pack their private teenage stuff securely. As they get older, giving kids their own space to put their things helps to build a sense of responsibility. They need think about what they need for their trip and how it is all going to fit into their space. Even if they are only packing a few toys. This applies to all age groups. Teenagers will quickly learn they can’t take 30 outfits and their entire accessories collection. Choices have to be made. Remembering to find and repack their things is also a good way to teach responsibility. Tip – Passing the time waiting at the luggage carousel is a little easier when children are trying to spot their own bags. I’m a bit of a neat freak and can’t stand having all our clothes mixed up. Add toys, snacks and toiletries to the mix and it’s a fast track to a meltdown. When kids have their own cases you know where each family member has their stuff. No confusion. 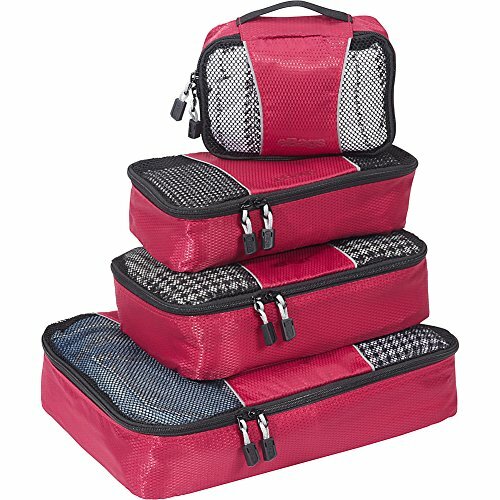 We use these handy packing cubes to make sure our belongings are stored neatly within our big cases. The kids love to store their toys in them in their own cases too. Do you only travel with a large suitcase or two between all family members? That’s how we do it, and our preschool twins have their own carry on bag. Inside we make sure there is a spare set of clothes, especially when we are traveling by air and on longer trips. You just never know when your luggage is going to go missing or more likely, a spill or accident occurs. Having spare clothes handy helps get everyone back on track quickly. Here are the key things to consider when you are buying a luggage for the kids in your family. Do you travel often or less frequently? Are you flying to your destination, driving or going on a cruise? Do you do short or long trips? Are your kids mainly doing sleepovers? Think about how you will use your luggage to help you make your decision. We travel in all these styles often so the children’s travel bags need to suit most of those trips. One of our major considerations is durability. We want our luggage to last many journeys through airports. If you are mainly using your luggage on road trips or for sleepovers then this may not be as important. For short trips as a couple we only need a carry on bag each but for longer trips we need several suitcases to hold all our belongings. We usually check two large suitcases for the four of us for longer vacations. 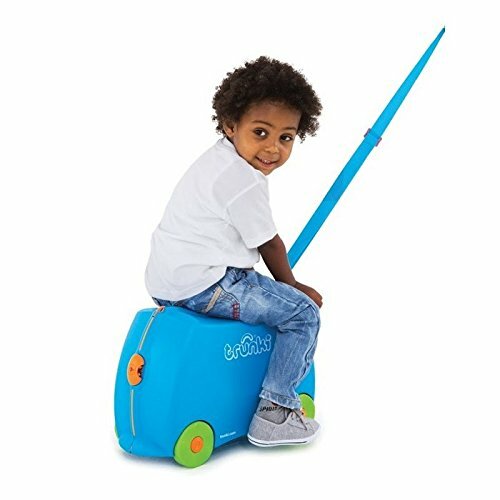 My husband and I take smaller carry on suitcases and we use these scooter cases for the kids – you can read our full review here. Luggage requirements change as your family grows. What worked for toddlers won’t work for teens. Of course! Sounds obvious but getting the luggage and packing wrong can be the start of a terrible vacation. When children are small you may want to keep their carryon for toys, books, tablet and headphones and a spare set of clothes plus toiletries. For longer trips pack their clothes in with your luggage or a separate suitcase. 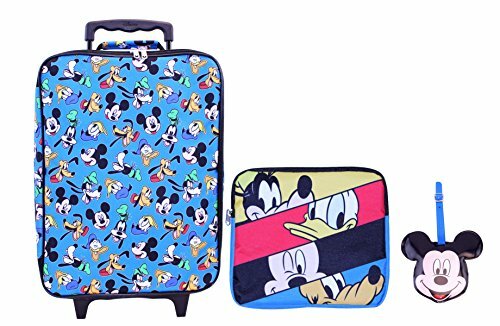 Little kids love character travel bags especially those featuring Disney favorites – American Tourister make the best Disney luggage. Tweens don’t need so many toys so could fit all their belongings for a week long trip in their carryon. By this age they wont want what they now think are babyish characters on their suitcase. As your children reach college age, you may want to consider investing in a luggage set. This way your teen has full responsibility for packing their bag and options for different types of trip. Matching luggage that will help them transition to college as well as be prepared their own adventures is a thoughtful and useful gift idea for graduation and birthdays. 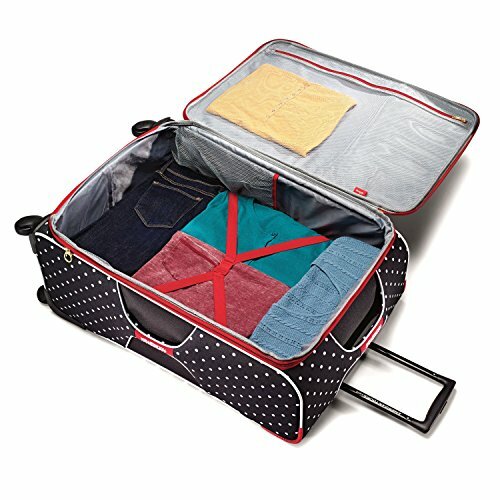 A rolling duffel bag is a great option for weekend trips and moving to college that boys in particular might like. 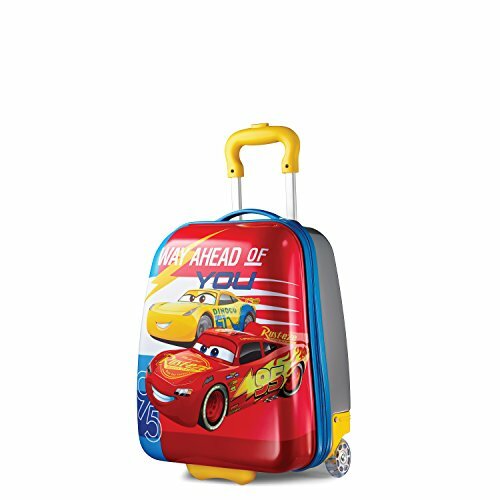 There are a huge range luggage sets in colors and prints for your budding fashionista too. Who is going to carry it? Up until the age of about 10, the answer to this question is likely to be you, the parent. At least for some of your trip. Think about how long and far you will need to carry everything, including your own gear. If it’s just a quick trip to the car then bulkiness and weight are not so important. If you need to walk distances, find a bag with sturdy wheels. 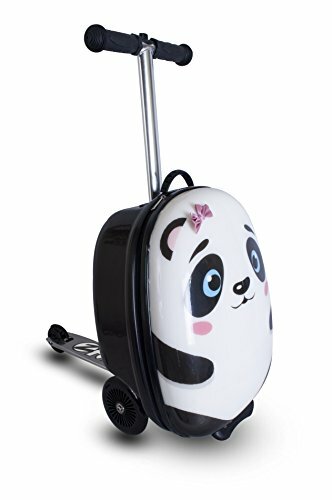 We decided to purchase scooter luggage after walking what seemed like miles carrying luggage plus children through air terminals. Once our twins reached the age of 4, no amount of working out at the gym would solve that problem. And that’s when we bought scooter cases for the kids – you can read our full review here. 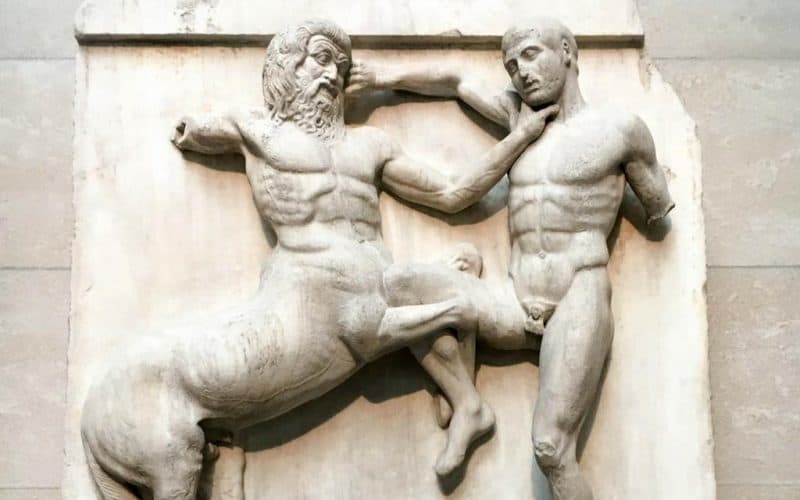 There is nothing worse than paying excess luggage charges or having suitcases break open due to overstuffing. Airline guidelines for carry on luggage vary so it is wise to check the sizes allowed on your favorite airline before buying a new case. Restrictions change often but you can expect that for most passengers size of carry on bags must not exceed 22 inches long x 14 inches wide x 9 inches tall (56 x 36 x 23 cm). Of course you will probably need to carry the luggage at some point so find a lightweight suitcase – see above! This is always the hardest part about choosing new luggage if you ask me. Soft cases are more flexible and you can be a bit less strict with your packing. The materials used for soft cases are synthetic and durable meaning you can clean them easily. Soft side cases are lighter than the hard case alternative but may be prone to rips and tears. Hard cases offer greater protection for fragile goods and the weather. If you have ever had your luggage sat out on a wet and windy tarmac you will know that this is a big advantage. No one wants to deal with wet belongings at the start of a vacation. These days there are several options on the style of bag for your children. Little ones in particular have all the luck with special ride on and scooter carry on luggage. Read more about the ride on and scooter luggage in our reviews below. Additional features you may want to consider include – internal organization sections with zips, bottle holders and external zippered pockets. 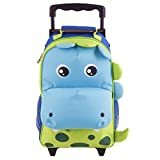 Of course, more features generally drives the price up so if you are looking for a budget kids suitcase you may need to compromise on some of these features. When it comes to luggage price generally has a direct relation to quality and durability. When I buy luggage for myself and the family as a whole I want it to last several years, preferably over 5 years, with extensive use. With that in mind I am prepared to spend a little more to get a more durable product. After all, the luggage is bound to get a bit of a beating as it dragged through airports and off and on conveyor belts. I have a slightly different approach to kids luggage. Yes it needs to be durable and stand up to the usual wear and tear kids throw at their things, but I am more budget conscious, knowing that a cute Frozen suitcase is not going to hold the same appeal for my daughter in a couple of years. Nevertheless, I always look for durability and scratch resistance in external materials, handles and the wheel mechanisms. Zips and fastenings are also important. Tip – If you plan to travel less frequently and through fewer airports, you may be able to get away with less durable luggage. All luggage needs to be durable, light and practical. For kids and teens, design is a big factor too. American Tourister is a great brand for fun, affordable and durable luggage for the whole family. The brand is owned by Samsonite so you can be sure that the innovation and design of their bags follow the market leading standards of their parent company. Skip Hop – known for their fun styles and innovative design process, Skip Hop make colorful and practical travel bags and back packs for little kids. 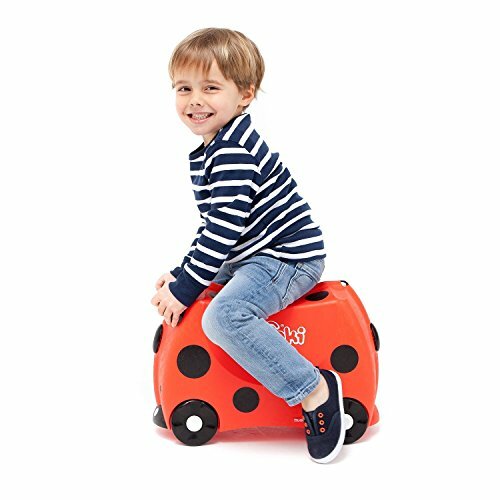 Trunki – manufacturers of the original ride-on suitcases for kids, Trunkis come in fun designs and are popular worldwide. Amazon Basics retail giant Amazon entered the luggage market with a small but well regarded range of products. Amazon Basics offers both hard and soft side luggage sets. 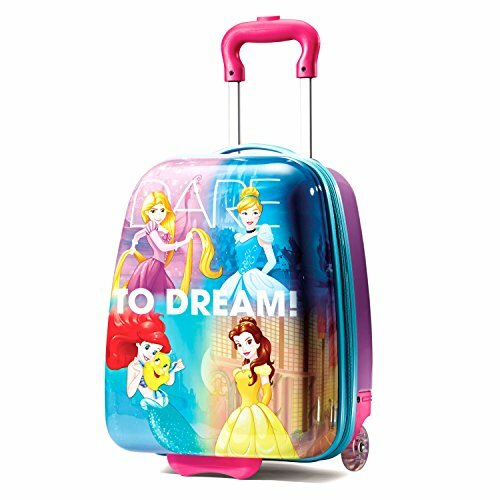 This super cute Disney suitcase by American Tourister is our top pick. American Tourister is owned by leading luggage brand Samsonite and they deliver great value with this softside luggage. Featuring single spinner wheels and a retractable pull handle, this suitcase is easy to move and turn. This luggage is made from durable polyester fabric that can be wiped down to clean. There are 5 adorable Minnie or Mickey Mouse designs to choose from. 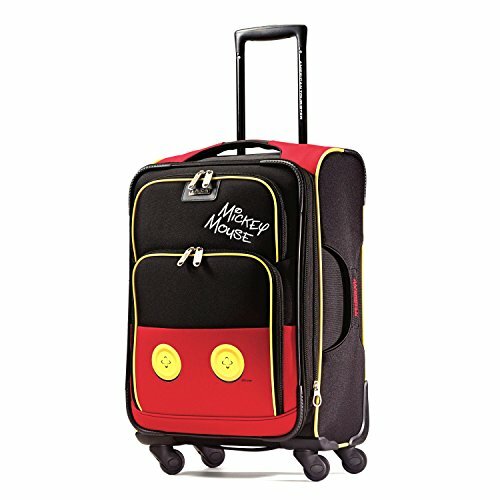 The smallest member of your family will love this fun toddler suitcase from Skip Hop. This bag is perfect for carry on or overnight stays with grandma. Made from sturdy poly-canvas fabric, the roll on has been designed for every day use. It has a 13″ retractable handle so your child can pull the case along on their own. Since that is bound to get tiring after about 5 minutes there is a handy strap so parents can carry the bag hands free. This shoulder strap can be tucked away when not in use. Skip Hop is known for their innovative designs. This bag features an external pocket for easy access to favorite items and snacks plus an elastic drink bottle holder. 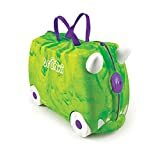 You may have seen the colorful Trunki ride on cases at the airport. 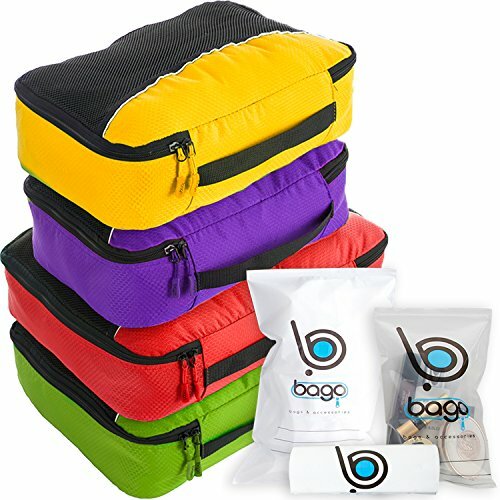 Kids love these fun carry on sized cases made from lightweight durable plastic because they can sit on them and scoot around. There is a special teddy bear seat belt to keep your child’s favorite toy safe. For parents, there is a strap to pull the case along (with child on top) when they get tired, or carry the case over your shoulder. The Trunki has a generous capacity with plenty of room to pack clothes and toys and they meet most carry on requirements. Nevertheless, many families love their Trunkis and swear by them for getting through airports. Trunkis come in 6 bright animal themed designs. We love our Zinc Flyte scooters. They were purchased when our twins were 3 for domestic and international travel and have been a big success. We no longer have to carry everything plus kids through airports and on train stations. If the kids get tired of scooting they can stand on the board while we pull them along by the handle. You can also fold the scooter back up and move the bag like a traditional carry on. They are lightweight and have a lots of room inside for toys, clothes and other essential items. There are straps and a mesh bag to keep items organized. The scooter bags are carry on sized but must be stowed in the overhead lockers. This means taking things out mid flight can be a challenge. Sometimes moving the scooter in and out of position can be difficult and kids would struggle to do this on their own. This is due to a safety mechanism to keep the scooter locked in place so it is an annoyance I am prepared to put up with. Will your child stay close by in a crowd or scoot off! 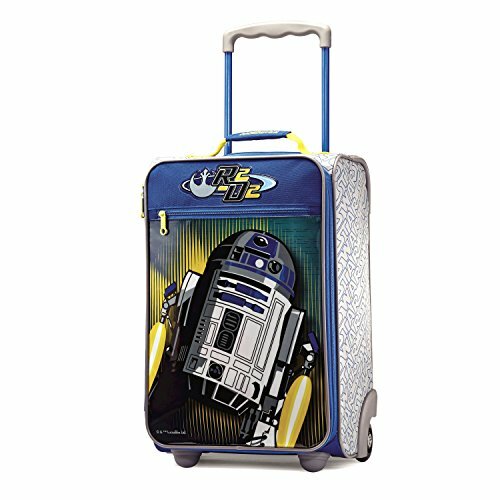 American Tourister’s hard side Star Wars spinners are perfect for tweens who want something a little more grown up. I know quite a few adults who love them too! The exterior is made from scratch resistant polycarbonate and it is a split case shell that design is easy to open and close. 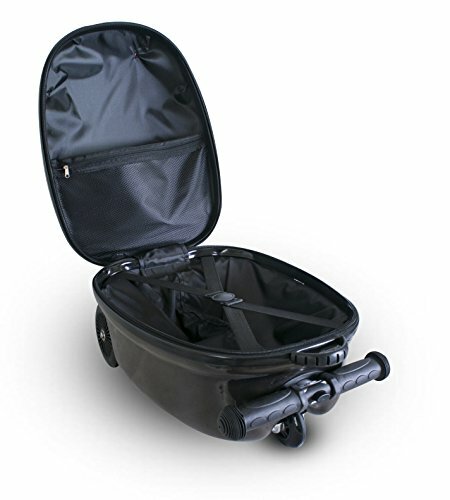 Single spinner wheels mean the bag is easy to wheel around for long distances in airports and train stations. The themed design continues inside where there are straps and a mesh pocket to keep belongings organized. Prepare your teens for college and a lifetime of adventures with a 3 piece luggage set that delivers on value and features, plus comes in several bright colors. 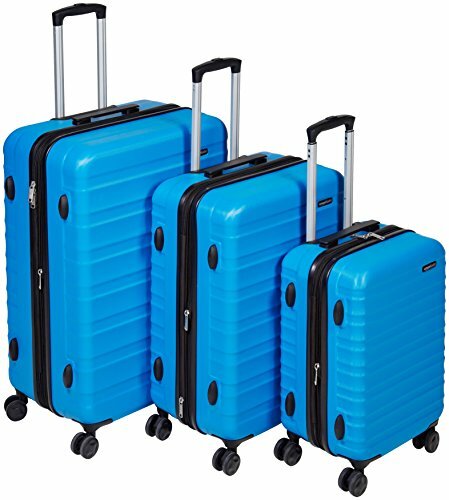 This Amazon hard side luggage set has three pieces – 20-inch, 24-inch, and 28-inch cases – that can be nested for easy storage. So there’s a case for quick weekend trips and all three to transport belongings to and from the dorm. All cases are made from extra strong and thick ABS so it is sturdy, scratch resistant and will stand up to robust use and questionable teenage and airline handling practices. 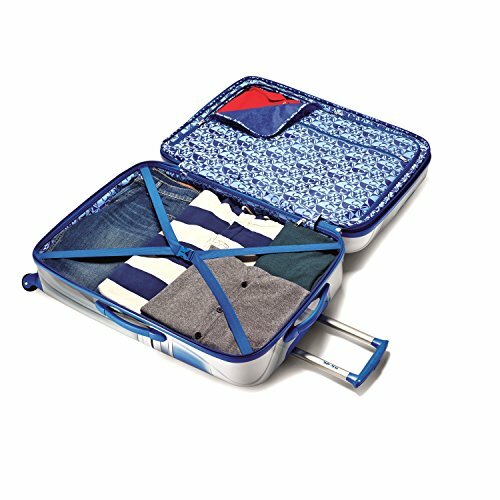 Inside the cases are fully lined with tough polyester material and there are three zippered compartments for managing items so they don’t become loose in transit. All three cases expand up to 15% and belongings are secured with an ultra tough zipper. They are easy to move around thanks to the double spinner wheels and adjustable telescopic handles. Here are a some extra luggage items that are very useful and worth investing in for your family travel kit. Packing cubes are the best things to have happened to travelers since the suitcase in my opinion. These handy zipper pouches allow you to segment clothing and other items easily. We have a different color for each family member but you can also use the different sizes for underwear, tops and bottoms. We all want to keep our belongings secure. 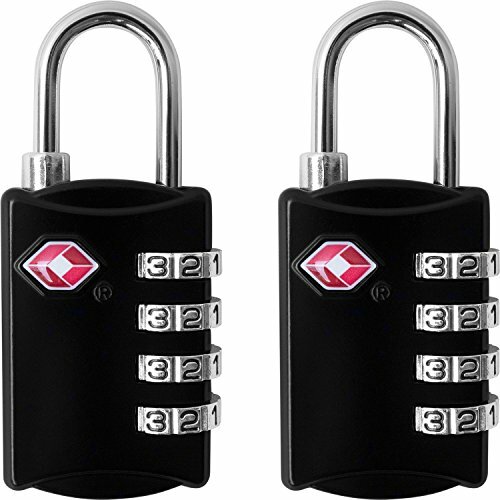 If your luggage does not come with inbuilt TSA approved locks we recommend you buy some locks like these with a 4 digit combination for peace of mind. They enable TSA security to access your luggage without damaging your suitcase. Don’t get hit by excess luggage charges ever again. 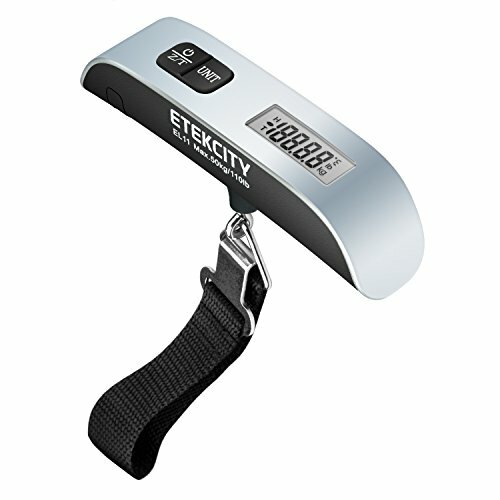 This handy lightweight luggage scale is easy to use, accurate and lightweight. We use our scales to help us redistribute weight among our cases. This way we can avoid overloading them which makes them more likely to get damaged. Kids are so lucky these days. 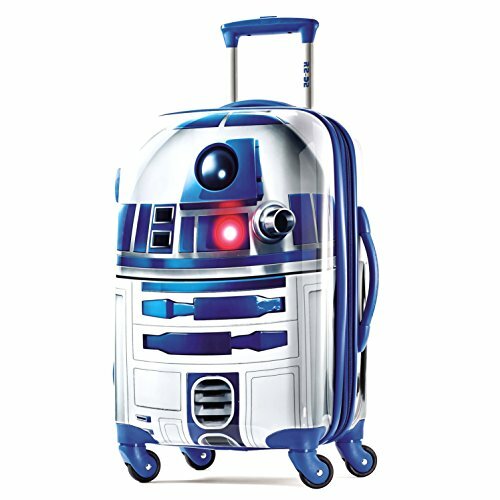 From ride on carry on suitcases to scooter luggage, and bags in cute designs, there are lots of fun options to choose from to make their travels more fun.